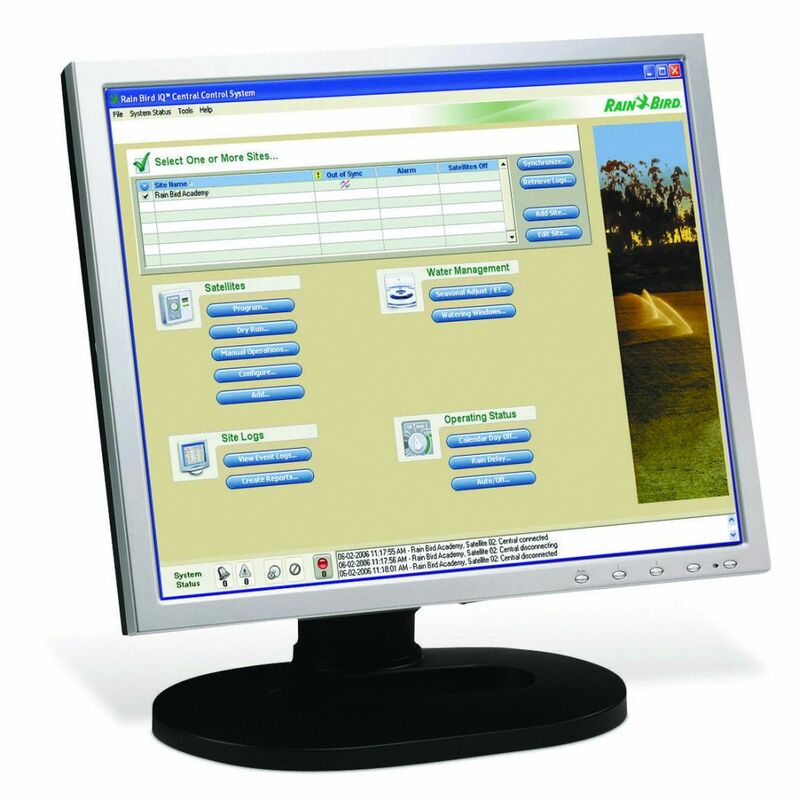 Find out a selection of territorial management systems for web irrigation control. Web based remote control from your personal computer, tablet, smartphone with free apps. 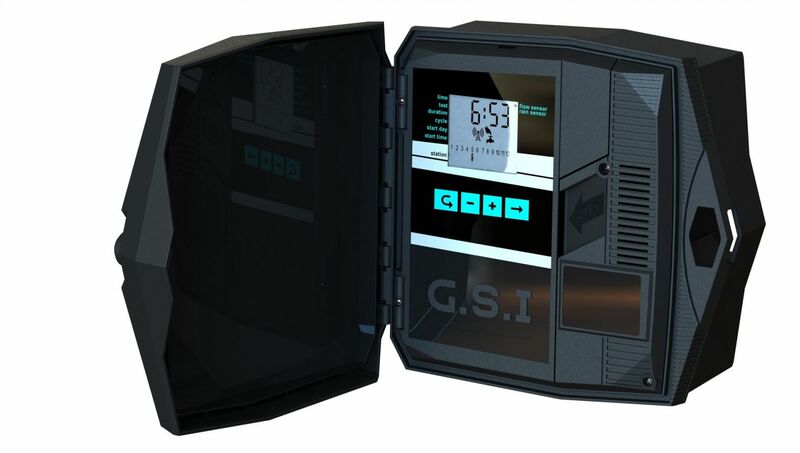 GSI - IRRIGATION CONTROLLER : a new, simple, smart irrigation controller for multisite irrigation scheduling in residential, public or agricultural context. Remote control of both electric or battery operated irrigation controllers. Friendly online user interface is easy to learn and simple to operate. Water flow rate control and management. Automatic alarm in case of eccessive water consumption, water loss or lack, sent via mail. Irrigation scheduling by times, quantities or mm (ET). IQ CENTRAL CONTROL SOFTWARE : new Rain Bird multisite control system, for small and medium sized irrigation systems, with an intuitive and user friendly software. IQ provides remote programming, management, and monitoring of wired ESP-LX series controllers and TBOS/TBOS-II control modules from the computer in your office. IQ is the perfect irrigation control solution for parks departments, school districts, property managers, landscape maintenance contractors, and water managers. WIRELESS SYSTEMS FOR BATTERY OPERATED CONTROLLERS : Wi-Fi irrigation management with smartphone or tablet, pool lighting, fountains and all other electric device. The device generates a Wi-Fi range, for gettin connected. Then a special app (for Android and iOS) enables you to remotely set the programmes and watering times, the water budget, manual commands and all the other functions required for the proper operation of the automatic irrigation and lighting system in your garden. GSI controller for local or web control. Battery operated controller up to 12 stations; standard electric controller 230 V up to 24 stations; GPRS modem integrated; compatible with most existing irrigation valves and solenoids; Cloud based application allows access from any computer with password; alarm management in real time; irrigation logs and water use reports; further features are fertigation control, 8 irrigation programs, water budget. 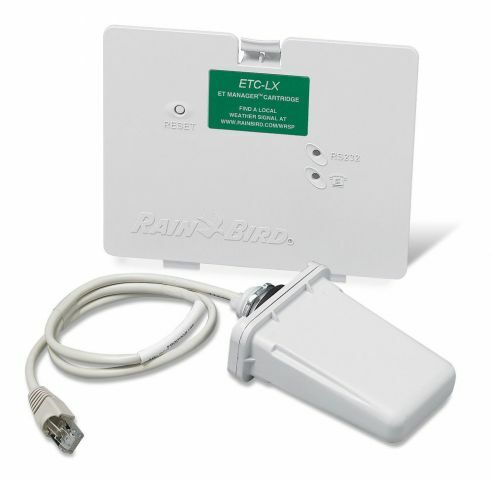 Communication kit (Cartridge) for installation on Rain Bird ESP series controllers. Wi-Fi timer 2-4-6 stations (see also TBOS2).